DALLAS — AT&T Inc. on Sunday agreed to buy DirecTV for $48.5 billion, or $95 per share, a move that gives telecommunications company a larger base of video subscribers and increases its ability to compete against Comcast and Time Warner Cable, which agreed to a merger in February. AT&T's proposed combination, which is subject to government review, could improve its Internet service by pushing its existing U-verse TV subscribers into video-over-satellite service, and thereby free up bandwidth on its telecommunications network. AT&T currently offers a high-speed Internet plan in a bundle with DirecTV television service. The acquisition would help it further reap the benefits of that alliance. With 5.7 million U-verse TV customers and 20.3 million DirecTV customers in the U.S., the combined entity would serve 26 million. That would make it the second-largest pay TV operator behind a combined Comcast-Time Warner Cable, which would serve 30 million. The companies expect the deal to close within 12 months. Under the terms agreed to Sunday, DirecTV shareholders will receive $28.50 per share in cash and $66.50 per share in AT&T stock. The total transaction value is $67.1 billion, including DirecTV's net debt. Unlike Comcast Corp. and Time Warner Cable — which don't compete in the same territory — AT&T's U-verse, offered in 22 states, does compete directly for TV customers with DirecTV, which is available nationwide. The combination would reduce consumers' options for pay TV providers from four to three for about 25 percent of U.S. households, according to Morgan Stanley analyst Ben Swinburne. Fewer competitors could result in higher prices, a situation that usually gives regulators cause for concern. Analysts have also questioned the strategic benefits of a deal that would give AT&T a larger presence in the mature market for pay TV. Last year, pay TV subscribers fell for the first time, dipping 0.1 percent to 94.6 million, according to Leichtman Research Group. AT&T CEO Randall Stephenson has spoken exuberantly about how the growth of online video helps boost demand for its Internet and mobile services. Last month, AT&T entered a joint venture with the Chernin Group to invest in online video services. AT&T is based in Dallas. 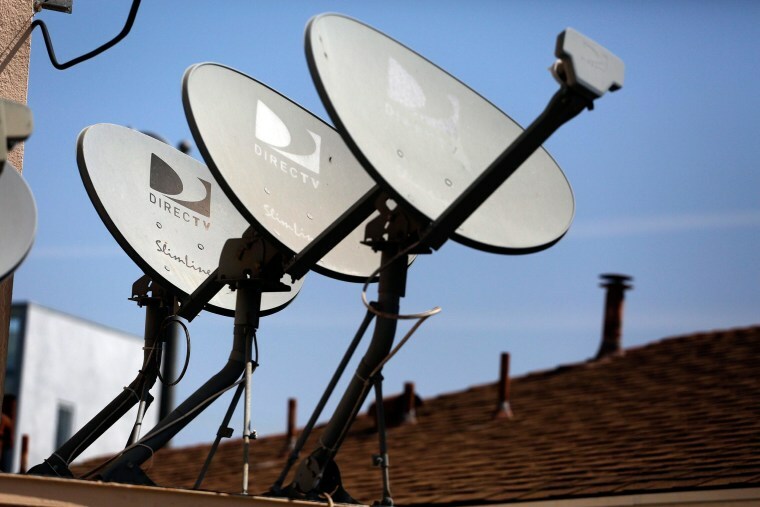 DirecTV would continue to be based in El Segundo, California, following the merger, the companies said.